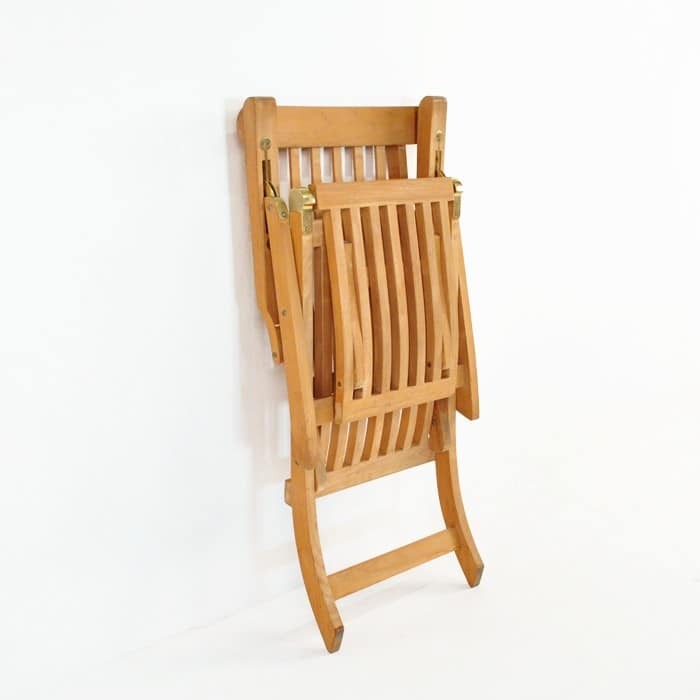 The slimmer version of the Classic Teak Steamer Chair, this ultra-portable, classically designed, folding steamer chair is a perfect addition to smaller spaces, or where storage might be at a premium. This steamer folds away into a compact profile for easy storage. The premium teak used on this classic poolside mainstay is the best you will find anywhere, A-Grade teak. There are brass fittings on the folding areas for that classic and time tested look and durability these chairs are known for. Cushions are available separately, but this steamer chair is quite versatile and functional in its own right. This chair is a great choice for general relaxation and in environments where sun and water are in heavy supply. Understated looks don’t diminish the overall beauty of this style and it will remain a timeless classic. Cushions are sold separately. 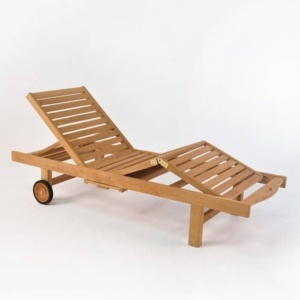 These top selling A-Grade teak steamers are the ideal chairs for relaxing in comfort and style. Our steamers are able to recline to 3 positions and have extra wide seating for more comfort. They conveniently fold for a more compact storage. Sun lounger cushions are sold separately.